Addiction is a real problem in the US. The fact is that it costs the economy $700 billion every year in crime, lost work days, and health costs. Those are just some of the reasons why beating your addiction is good for yourself and your community. But the first step is detox. This means to purify your body of the toxins within drugs and alcohols inside you. It’s a difficult process and you need to be prepared to go through hell. Successfully completing detox, however, will lead to a better future. So how can you detox correctly? Are You Seeking Medical Attention? It’s estimated that one in seven Americans will suffer from substance abuse of some kind. 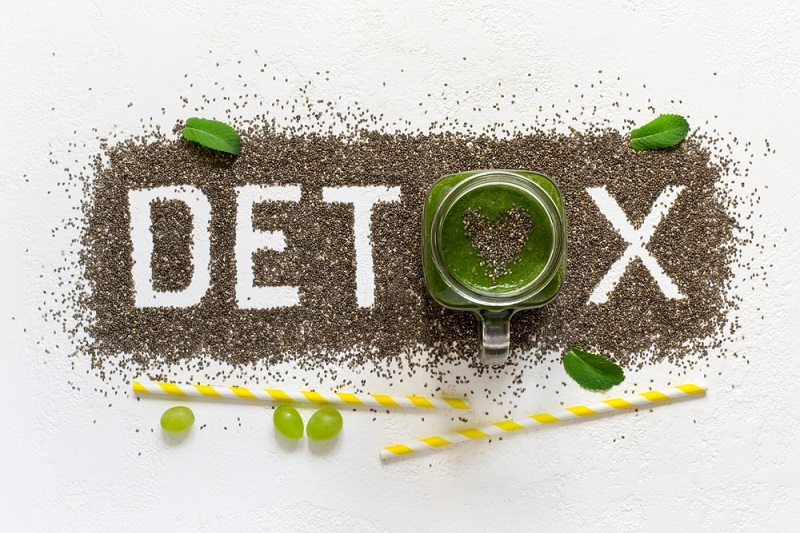 Regardless of what you’re addicted to, you should always be going through a detox at a certified detox center. Medical professionals have the tools needed to ensure you detox in a safe and secure environment. Remember that a detox can kill without medical supervision. Don’t attempt to do it alone. Look for a rehab center where you can detox in Florida and get the support you need. It’s scientifically proven that eating a healthy diet will enable your body to cope better. It’s why rehab centers emphasize the need for a healthy diet. How are you going to flush out the toxins from the body when you’re adding in even more toxins through your diet? Exercise is another important factor for detoxing successfully. When you exercise you’re flushing out even more toxins from the body through your sweat. You’re also distracting yourself from your natural cravings. Exercise is an excellent psychological booster because when you exercise you release endorphins, which are essentially the brain’s happy drug. Are You Receiving Psychological Support? Psychological support is equally important because addiction is rooted in the mind. Your brain is making that decision to drink alcohol or take drugs. Something in your mind has driven you towards this lifestyle. You need professional psychological help to break this addiction. It’s another reason why seeking professional help is critical to detoxing. Do You Have Social Support? The reason why so many home detoxes fail is that you’re completely alone in your attempts. You have nobody to support you through the tough times. Few people have the mental strength to resist these cravings when they don’t have help from family and friends. It’s why professional detox clinics focus on having support from family and friends to aid in the detox. Are You Distancing Yourself from Drugs/Alcohol? The key to a successful detox is to ensure you don’t have access to alcohol and drugs. Trying to detox at home when the bar or dealer is only a block away is a surefire way to fail. Rehab centers take you out of your usual environment so you don’t have access to these substances, even when the cravings become too much. They’re the reset button you need to begin rebuilding your life again. It’s obvious what you need to do to make sure you’re detoxing correctly. Everything centers on providing yourself with the right environment to detox in. Finally managing to quit drugs and alcohol will be the best thing you can ever do. The only place you should be attempting this is in a professional detox clinic. Not only will you dramatically increase your chances of success you’ll be guaranteeing that nothing goes wrong because you’ll have the support of a team of medical staff at all hours. Are you ready to successfully start battling back against your substance abuse problem? Are Patients Being Informed Of Alternatives To Medication?